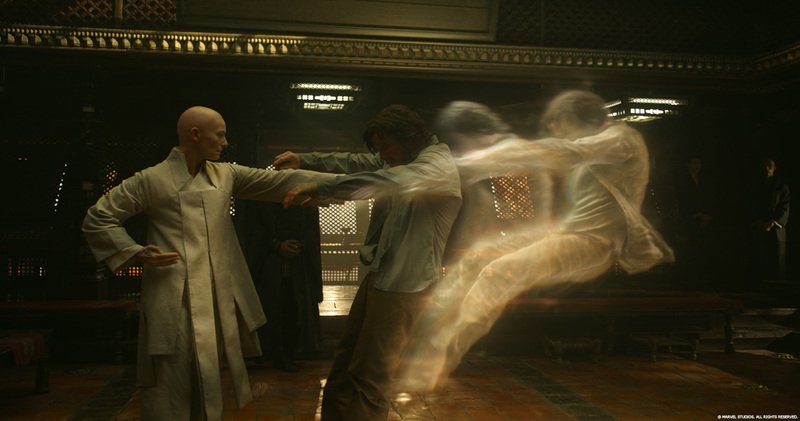 Doctor Strange, the new blockbuster from Marvel Studios, was a truly massive VFX undertaking, with 1450 shots carried out by over 1000 artists, from a dozen facilities spread from North America to the UK to China and Australia. 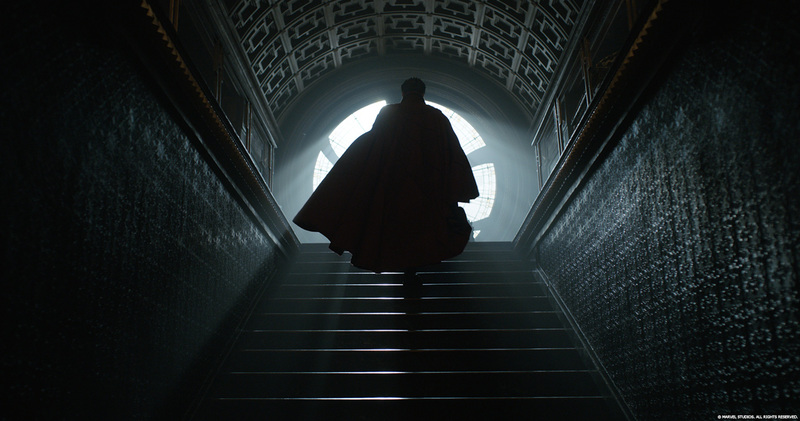 As he has done on many previous films, VFX Supervisor Stephane Ceretti again relied on cineSync to review work in progress, regardless of where the work was being done. 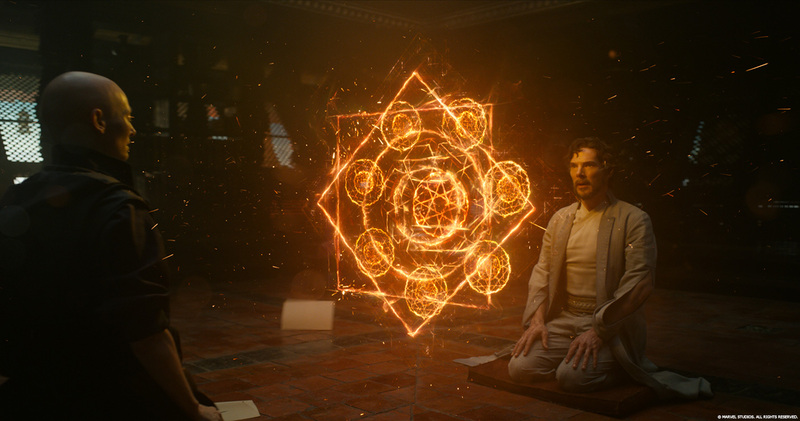 As we were finishing GUARDIANS OF THE GALAXY with Susan Pickett my VFX producer, Victoria Alonso from Marvel talked to us about DOCTOR STRANGE and how it would take us to other dimensions rather than other galaxies. We were instantly thrilled and we got introduced us to Scott Derrickson the director of the film. The first meeting was very inspiring and exciting and we knew we were going to work onto something very special again! In pre-prod we had multiple phases, from the early days where it was mostly about breaking down the film and discussing the requirements for the film with Scott and the Marvel creative execs. Then we go into a portion of the pre-prod that is mostly about previs and bidding. And as we moved to London it was more about methodology meeting and working out the many technical challenges we would have shooting the film. During production days are pretty long as shoot days were very dense with a lot of vfx sequences to shoot and supervise. And additional meetings after wrap to prepare for all the upcoming sequences as previs were updated and refined. Once in post production it’s more classic days with lots of cineSync, studios review, editorial meetings and postvis meetings. A lot of attention is given to all the marketing requests like trailers, Comic-Con and other events where previews of the movie are shown. Towards the end we get more involved into the finishing of the films with a lot of DI sessions for all the different versions of the film we are delivering (2D, 3D, EDR, IMAX, Home Video). Can you tell us more about your collaboration with their respective VFX Supervisors and teams? We do most of our reviews using cineSync. I also try to get the vendors on set as much as possible so they interact with the crew and the director soon in the process. I try to have an open door policy with everybody so we can discuss anything at any time and come up with ideas and solutions to the many problems you encounter on this kind of film. The short post time and the quantity and variety of the effects we had to R&D in that short period of time. Knowing that we had some additional photography in August that required some pretty heavy VFX work as well was a bit of a challenge. But the biggest challenge was to make sure our magic wouldn’t take over the film and make it difficult to follow… We try to service the story and it takes a bit of finesse and balance and working closely with the directors, editors and producer to achieve this. The rest of the article can be found at ArtofVFX – Stephane Ceretti is one of the best VFX Supervisors working in the business today and he is great at explaining what he does. The full article is well worth a read!